San Diego have all criterias for being a perfect city regarding rooftop pools and rooftop bars. You can find the ones nearast your location at his map of 'rooftop bars near me'. The typical San Diego rooftop pool is often located at a hotel with a view over the city or the Pacific Ocean coastline. What better way to enjoy this beautiful and popular city, then from a rooftop, in the water, with a drink in your hand. 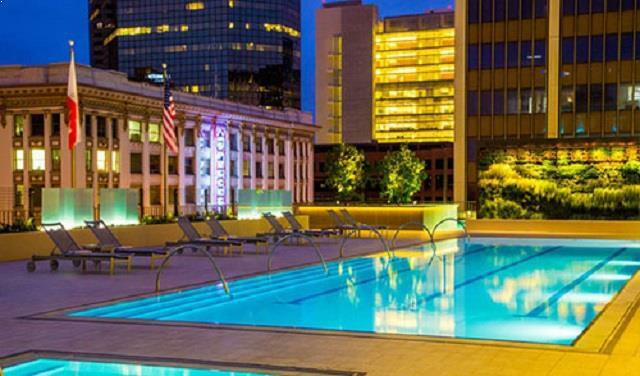 Therefore, we have summoned a list of the best rooftop pools San Diego. So, what are you waiting for, get out there and find the best San Diego rooftop pools now. 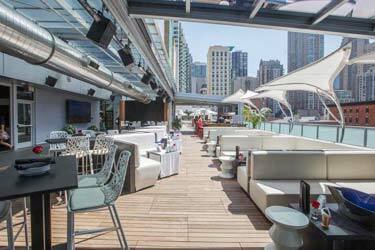 Also, don’t forget to check out the best San Diego rooftop bars here. This is probably the best rooftop pool in San Diego. The Rooftop by STK has it all. Beautiful city and ocean views, great food, bottle service and a nice atmosphere. The rooftop swimming pool is quite large and feels very luxurious. Much thanks to the nice sun loungers and lounge furniture’s surrounding the pool area. During the days this rooftop works as a nice and “loungy” pool area, and during the night there’s a livelier party feeling. In other words, there’s something for everyone at this lovely San Diego rooftop pool. Hotel Solamar have a very popular rooftop pool in San Diego. This place is super popular, especially during the weekends. You can book a privet cabana by the pool – both during weekdays and weekends. This is a great way to make sure that you will have a seat here. Many people rank this as the best San Diego rooftop pool and rooftop bar. The clientele here is a little older, from around +30. 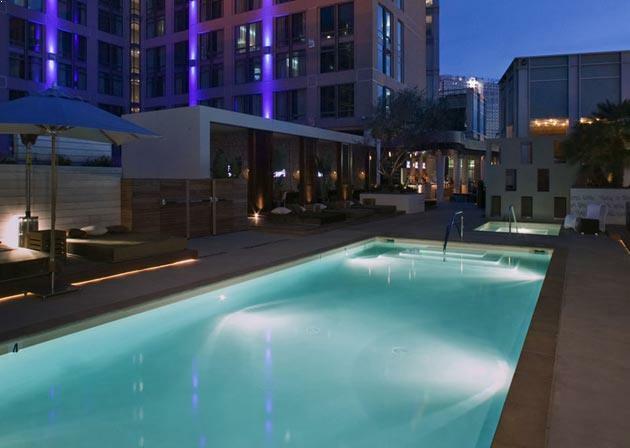 Hotel Salomar rooftop pool is a perfect venue if you like luxury and party. The Pool at AquaVie at a cozy rooftop pool surrounded by the downtown skyscrapers of San Diego. This is the ultimate San Diego rooftop pool, if you place high value in relaxation and wellness. The terrace is equipped with a large swimming pool and also a hot tub to relax in after swimming. The pool deck is available on a first come first served basis and if you like to eat and drink in the pool area, you must buy your things from the rooftop bar located here. A premium rooftop lounge called The Pool House, perched at Pendry San Diego. 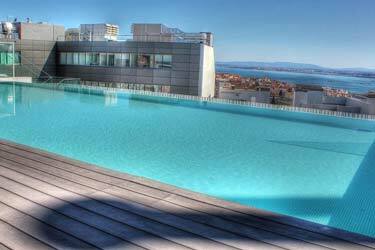 The terrace has a large rooftop pool with lots of sun loungers to chill out in. 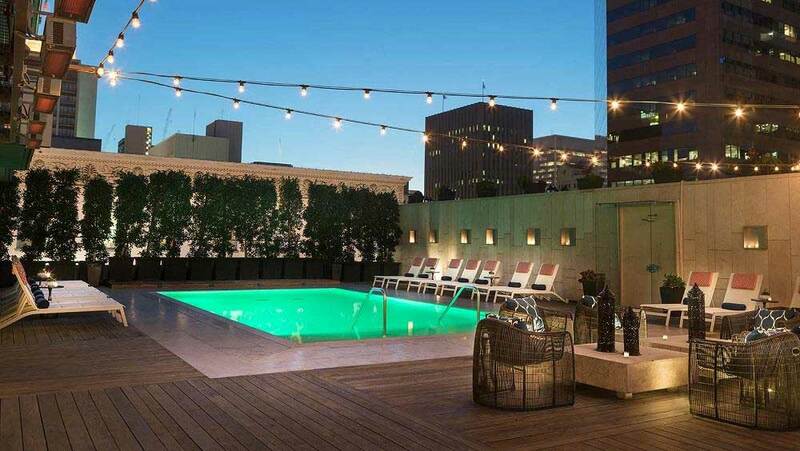 The Pool House is located in the famous Gaslamp District with sweeping city views of the 5th Avenue. The rooftop bar offers both light meals and tasty snacks. At 5:00 PM the rooftop pool opens to the public, where you can enjoy a nice atmosphere with people from all over the world. The rooftop bar here is called Summer Salt and the pool area Level Four Pool Bar. 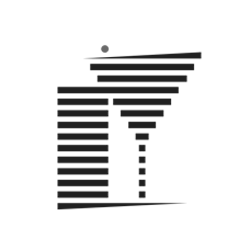 Both are located at the 4th floor of Hotel Palomar San Diego. 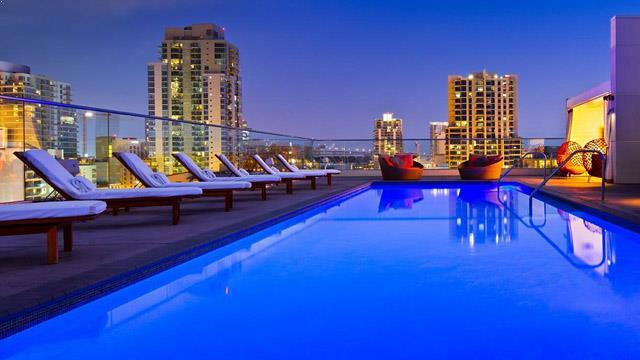 This is a perfect rooftop pool in San Diego if you like a calm atmosphere in a modern décor. Between all the swimming, you can order delicious bar bites and perfectly made cocktails. Everything with this San Diego rooftop pool is very sophisticated and well made. Some evenings they arrange pool parties up here as well. So, don’t miss out on that if you feel like a pool party with a view. Float is one of the most popular rooftop pools San Diego. Especially if you like to party in a luxurious environment. When entering the rooftop, you will receive an entrance to booth the rooftop bar and rooftop pool. And if you want to make your visit here extra special, you should rent a private poolside cabana, equipped with flat screen TV. There’s also lots of lounge furniture’s to hang out in, if you don’t want to spend too much money on a cabana. 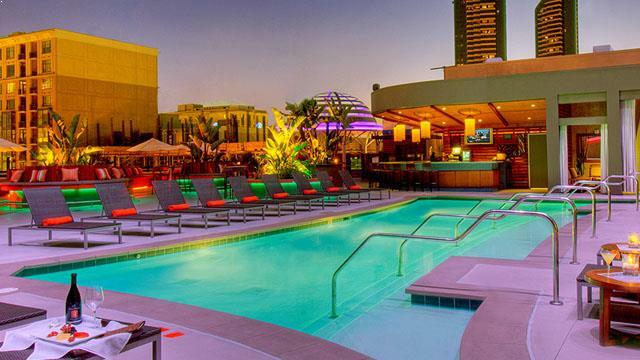 Make sure to be here in time during the weekends – it’s a very popular San Diego rooftop pool. 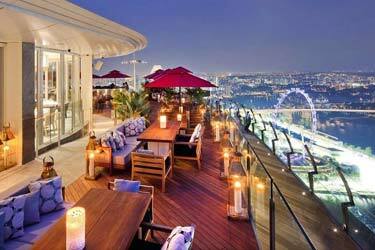 Singapore is a city full of fantastic rooftop restaurants, it is hard picking just one of them. So we have gathered five of the very best! Offers a first-class rooftop experience all around, rooftop pools being no exeption. 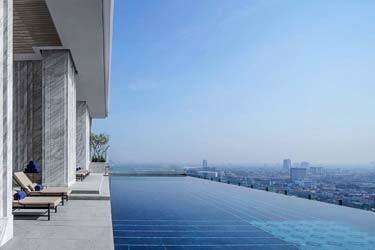 Here are our choices of the 5 best rooftop pools in Bangkok. 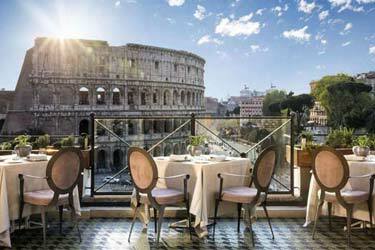 If you want to truly experience the taste of Italy, do it at one of the best Rome restaurants with a great view of the eternal city. 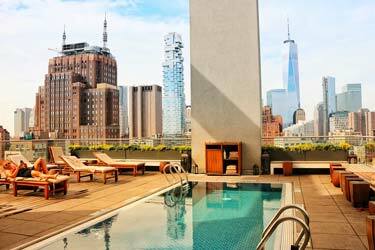 Check out the best rooftop swimming pools in New York City. The 5 best places in the Big Apple to swim with a magnificent view! 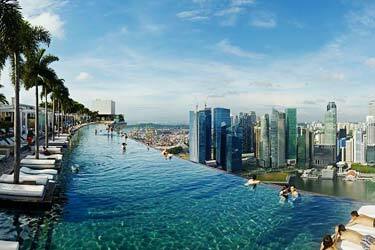 Our list of the very best and coolest rooftop pools around the world. 7 amazing spots to enjoy views, swimming, luxury and a sense of privacy all at the same time.